Hey guys I've been out the SG game for a little while now but I'm putting together a workshop and I'm looking for a new style gas solder iron like the one in the attached picture does anyone know where i might be able to get hold of one? Or if anyone with experience of any of the high wattage electric irons (150 watt plus) with a soldering tip at the same sort of angle (90degree) to the iron pictured in the previous post?? 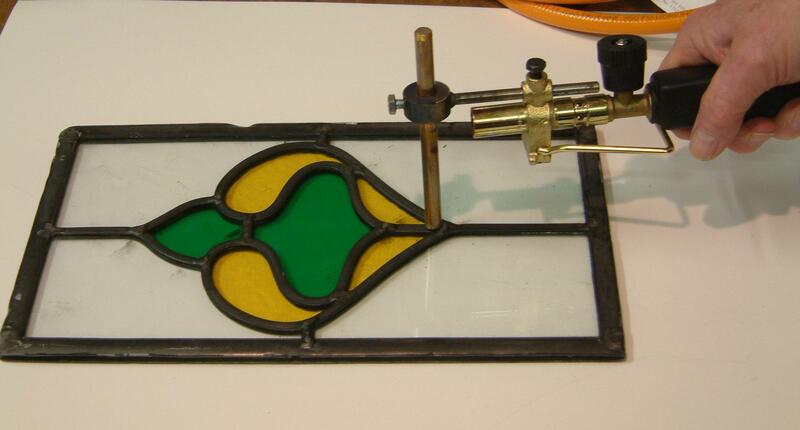 There is a stained glass store in England owned by a lady who sells that soldering Iron. I don't remember her name or the stores name, sorry. Use Google to search for some UK webpages which have boards/discussion groups. She participated a lot on those too. I believe HEXACON makes and electric iron with that angle. I would check American Beauty web page also. Quality irons.